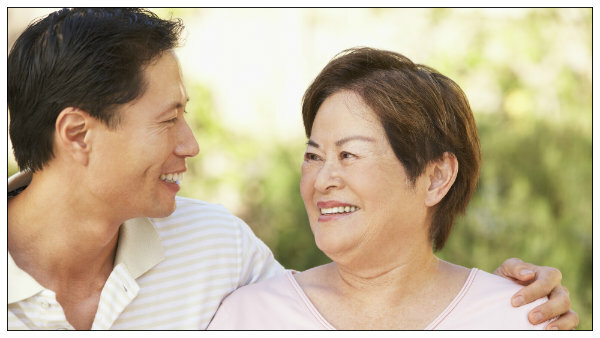 Advance instructions about health care preferences are commonly given in documents called living wills, known more recently as “advanced healthcare directives.” The laws of every state allow individuals to use living wills to direct health care providers on the use or withholding of life-sustaining medical treatment. Should an individual be incapable of stating his or her wishes at the time such major life decisions must be made, the living will specifies these wishes. A living will can help your loved ones avoid family discord or even a lawsuit over medical care. The law ordinarily requires health care providers to follow the directives of a valid living will, even if they conflict with the wishes of family members. Without a living will, disagreement among medical care providers or family members can result in costly legal battles over proper treatment. Adults who become incapable of caring for themselves, their property or their dependents may have a guardian appointed for them. However, guardianship can be avoided though the use of powers of attorney. In such circumstances, personal preferences can be respected without the need for court-appointed guardians. The type of power of attorney most often used is a “springing power of attorney,” which means that it becomes effective only when a person is temporarily or permanently unable to handle his or her financial or personal affairs due to illness or injury. A power of attorney is a document that authorizes one person, the agent, to act on behalf of another person, the principal. Powers of attorney are commonly used to allow an individual to appoint someone else to handle the sale of a car or a house. Should you become incapacitated without having made a durable power of attorney, you may need a guardian. Guardianship is a legal procedure by which a court declares an adult incapacitated and appoints someone to manage financial matters, living arrangements and medical care decisions. Older adults do not need a guardian simply by reason of age or minor mental or physical impairments, provided they are still able to manage their personal and financial affairs. The courts will not appoint a guardian for you merely because your family believes that you are making foolish or risky decisions. Courts will appoint a guardian if you have a physical or mental condition which impairs your decision-making capacity or your ability to avoid harm to yourself or to others. Guardianship is ordinarily not necessary for an incapacitated person who has appointed an agent under a durable power of attorney. However, if an agent has not been appointed, your friends or family may start legal proceedings to have a guardian appointed. If you disagree, you can fight the proceedings for guardianship. This may be appropriate if you can’t decide who to select as your agent or what to specify in a living will. Guardianship may also be preferred if you fear that your family members will try to force their interests, rather than yours, upon your agent or doctor. However, guardianships are more expensive than powers of attorney because of court fees and the fees of experts who will testify during the legal proceedings. A visit with a lawyer provides an opportunity to ask for help in planning for incapacity. Your lawyer can advise you about using advanced healthcare directives and appointing agents and guardians; either for yourself or for aging family members or friends. Your lawyer will meet with you in private, allowing you to express your preferences. If you are the relative of a person who may be incapacitated, you will need a lawyer’s assistance in determining whether a guardianship is advisable or appropriate for your family member and, if so, guiding you through the legal process. You should plan ahead so that your needs and desires can be followed in the event of an incapacitating illness or injury. Your lawyer can explain the benefits of advance planning to avoid guardianship should you become incapable of taking care of your personal affairs. If you wish to appoint an agent, your lawyer can prepare a power of attorney naming someone you trust to handle your affairs if you cannot. Your lawyer can also prepare a living will or advanced healthcare directive that complies with your wishes.